A small browsing collection of current print newspapers and news magazines is in The Hub on Level 1 of Snell Library. View a list of titles in the Hub. Search the Scholar OneSearch Journal Title Search. Key online resources for news and newspapers are listed below. The 19th Century British Newspapers collection contains full runs of 48 newspapers specially selected by the British Library to best represent nineteenth century Britain. This new collection includes national and regional newspapers, as well as those from both established country or university towns and the new industrial powerhouses of the manufacturing Midlands, as well as Scotland, Ireland and Wales. Special attention was paid to include newspapers that helped lead particular political or social movements such as Reform, Chartism, and Home Rule. The penny papers aimed at the working and clerical classes are also present in the collection. As compelling as it is comprehensive, 19th Century U.S. Newspapers provides access to primary source newspaper content from the 19th century, featuring full-text content and images from numerous newspapers from a range of urban and rural regions throughout the U.S. The collection encompasses the entire 19th century, with an emphasis on such topics as the American Civil War, African-American culture and history, Western migration and Antebellum-era life, among other subjects. This collection of historical African newspapers from the World Newspaper Archive provides coverage of the people, cultures, issues and events that shaped the continent. Fully digitized coverage of the African American newspaper Atlanta Daily World from 1931-2003. Historical and current access to the Boston Globe. The Center for Research Libraries (CRL) collects and makes available important and rare collections of primary source materials, as well as thousands of foreign dissertations, historical journals, and newspapers from around the world. The collections are so varied as to include an unpublished manuscript music collection from Oxford, the vast engineering library of Linda Hall, and rare monograph and pamphlet area collections from various regions of the world. For example, the Sutro Library Mexican collection includes over 3,000 titles from the 1500-1900 time period, covering cultural, economic, political, religious, and social themes in Mexican history. These collections are made available in print, in microfilm, and, in many cases, online. Faculty, students, and staff are eligible to borrow resources through an extended delivery system or, when available, through electronic delivery or online. See our Subject Guide to the Center for Research Libraries for more information. Fully digitized African American newspaper Chicago Defender from 1910 to 1975. Proquest Historical Newspapers: Chicago Tribune (1849- 1988). The historical Chicago Tribune collection offers both full page and article digital images in PDF format with searchable full text. If off-campus, you'll be prompted for myNEU username and password. Optionally, you can use the library bookmarklet, a browser plugin that customizes any journal URL the library subscribes to, allowing access with your myNEU username and password. 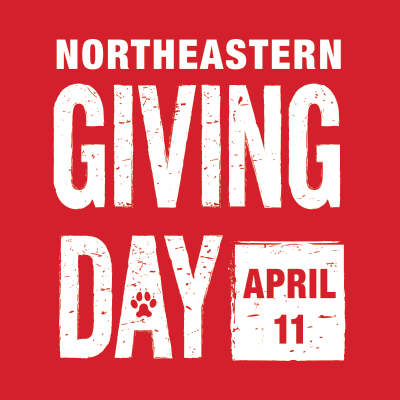 Anywhere including off-campus: Set up a personal account here using your Northeastern email address. Use your personal account to access the Chronicle site from anywhere in the world. No special URL or plugin necessary. Also works with the Chronicle iPad app. Jointly funded by the University Libraries and the D’Amore-McKim School of Business. Includes access to the Wall Street Journal, Barron's, and hundreds of other international newspapers. Foreign Policy is the leading international source for global news, providing an evolving network of world-leading insights and analysis coupled with rapidly expanding original reporting. Reprints full articles from women's studies magazines and newsletters (including some that are hard to find in print), as well as some scholarly journals. Some articles go back to the 1970's. You can browse a list of subjects or search by key words. Rich collection important to a full understanding of Unites States history. Includes the Atlanta Daily World (1931-2003), Baltimore Afro-American (1893-1988), Chicago Defender (1910-1975), Los Angeles Sentinel (1934-2005), New York Amsterdam News (1922-1993), and the Pittsburgh Courier (1911-2002). All historical newspaper documents from ProQuest, including the Atlanta Daiily World (1931-2003), The Baltimore Afro-American (1893-1988), Boston Globe (1872-1981), Chicago Defender (1910-1975), Chicago Tribune (1849-1988), Los Angeles Sentinel (1934-2005), New York Amsterdam News (1922-1993), The New York Times (1851-2008), the Pittsburgh Courier (1911-2002), and The Washington Post (1877-1999). All historical primary source documents from ProQuest, including American Periodicals Series (1740 - 1940), Ethnic Newswatch (1959 - present), Boston Globe (1872-1981), Chicago Defender (1910-1975), Chicago Tribune (1849-1988), New York Amsterdam News (1922-1993), The New York Times (1851-2008), Pittsburgh Courier (1911-2002). For more primary sources, see our full list of primary source databases. A historical archive of the Illustrated London News, the world's first pictorial weekly newspaper, from 1842-2003. Includes over 260,000 pages in full facsimile, fully searchable. Inside Higher Ed is the online source for news, opinion and jobs for all of higher education. This resource includes: breaking news and feature stories, provocative daily commentary, areas for comment on every article, practical career columns, and a powerful suite of tools to help higher education professionals get jobs and colleges identify and hire employees. A multidisciplinary view into the study of Jewish civilization from its historical origins to the present. Content within the collection is meant to cover all facets of Judaism and multiple areas of study. Over 350 full-text titles including academic journals, abstracts of monographs, newspapers and periodicals, including complete Jewish Telegraphic Agency wire service articles from 1922 to the present. Latin American Newspapers, Series 1—part of CRL's World Newspaper Archive—features 50+ historical Latin American newspapers. Titles from Argentina, Brazil, Chile, Cuba, Guatemala, Mexico, Panama, Peru, Venezuela, and elsewhere offer unprecedented coverage of the people, issues, and events that shaped this vital region between 1805 and 1922. Up-to-date business and legal information is the strength of the LexisNexis Academic service. It allows you to search for newspapers, periodicals, public records, and legal documents, often within 24 hours of publication, and in some cases going back 20 years. Most documents are available in full text. Download the article to PDF. Open and print the PDF. Use the browser print button instead of the Lexis-Nexis built in button. London Times access *not including the Sunday edition* from 1785 to 1985. Also known as The Times Digital Archive, and published under the name Times of London. An invaluable source for primary historical research. Fully digitized African American newspaper Los Angeles Sentinel from 1934 to 2005. Information and analysis of the Middle East including the Middle East Report, which provides news and analysis not generally found in mainstream sources. Independent with no links to other educational, religious, or political organizations. A daily newsletter of concise, translated briefs covering some of the key political, cultural, economic and opinion pieces appearing in the media of the 22 Arab countries, Iran and the Arab Diaspora. This resource allows researchers to search for full articles in the New York Amsterdam News. Searches provide a PDF of each article as well as an abstract. Courtesy of the Massachusetts Board of Library Commissioners and the Massachusetts Library System. Online full text of the NY Times from 1980 to the present. The Historical New York Times collection offers both full page and article digital images in PDF format with searchable full text back to the first issue. Magazine and classifieds included. Go to "Advanced Search"--> "Look up citation" to find a specific article by author, title, page, date and more. PressReader provides online access to today's newspapers from over 100 countries around the world in over 60 languages in a full-color, full-page format. The ever-expanding collection currently includes over 5,000. Just like reading the familiar print edition, users can browse articles and other key content, such as pictures, advertisements, classifieds, and notices. Users have the ability to perform keyword searches across all titles and the entire archive. PressReader provides advanced digital features such as interactive tables of content, foreign language translation in 17 different languages, cross title searching, sharing of articles through email or blog postings, bookmarks and text-to-voice conversion. This is a 90 day archive. London Times access *not including the Sunday edition* from 1785 to 1985. An invaluable source for primary historical research. WebMD is a leading ad-supported publisher of credible and timely health information for consumers. Experts in medicine, journalism and health communications provide news and information on health conditions with links to related articles, news, videos, blogs, slideshows, quizzes, discussions and supportive communities. Other features include drug and supplement information, first aid treatments, health, wellness and nutrition guides and many engaging interactive calculators and tools. One-time registration required to access some features.